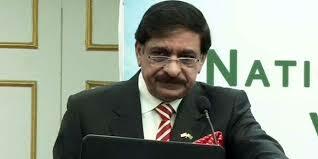 ISLAMABAD: National Security Adviser Lt General (r) Nasser Janjua resigned from the post on Wednesday, allegedly due to differences with the interim government, sources said. However, a statement released by Janjua’s office stated that his resignation “is to morally coincide and principally support the process of democracy upon completion of the tenure of the previous government”. Janjua’s resignation was accepted by Interim Prime Minister Nasirul Mulk, according to a notification issued by the Cabinet Division. Janjua, who had replaced Sartaj Aziz on Oct 23, 2015, was accorded the status of minister of state. His appointment was part of efforts to revitalise the National Security Division since, during Aziz’s approximately two-and-a-half-year tenure, the National Security Committee had met just four times. The military too had reportedly been pressing the then government for bringing in a new NSA. Janjua is the second military official to hold the post after Maj Gen (r) Mehmood Khan Durrani, who was NSA during the Pakistan People’s Party (PPP) government. Janjua held the post of Southern Command Quetta before he retired from the army. Before that, he was president of the National Defence University, the military’s higher education institute and premier think-tank on national security matters. He also worked on ‘Azm-i-Nau’, a military preparedness exercise with particular focus on India. In December 2017, the then premier, Shahid Khaqan Abbasi, had tasked Janjua to present the national security policy.